It’s the reason why Peyton Manning only has one Super Bowl ring despite being one of the best quarterbacks in NFL history. It’s the reason why Tom Brady hasn’t won one since 2005 despite the fact that the Patriots have consistently been one of the best teams in the NFL for close to a decade. It’s the reason why Aaron Rodgers and Drew Brees didn’t even reach the NFC Championship Game last year despite posting two of the most impressive statistical seasons by quarterbacks in NFL history. It’s what I’m calling the “Elite Quarterback Trap” and it’s why the Giants might have a disappointing 2012 season. 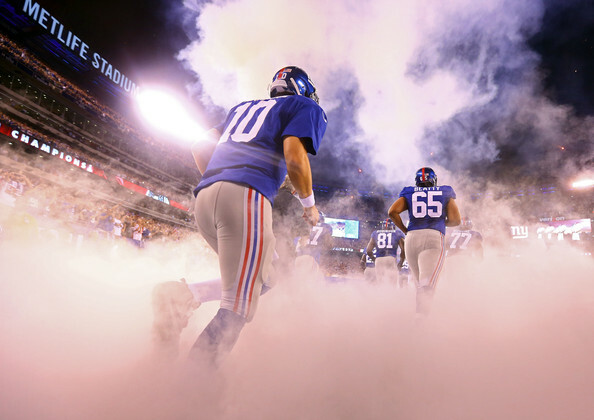 Is Eli Manning on the same level as the aforementioned quarterbacks? For all of his postseason success and Toyota commercials, it doesn’t seem likely that many would take the younger Manning over any of the quarterbacks mentioned above (with the exception of Peyton if you’re not buying his impressive debut against the Steelers and surgically fused neck). Even if he’s not quite in the stratosphere of guys like Brady, Brees, and Rodgers, Eli has proven that the Giants can lean heavily on him to win games when all else fails. - Your defense gives up 30 points and can’t get off the field to save their lives? - Your running game averages 3.2 yards per carry and can’t convert on third and short? - Your offensive line can’t offer much in the way of consistent protection for more than a few seconds? And yet, a team that probably shouldn’t have made the playoffs managed to squeak into the postseason and eventually won the Super Bowl thanks largely to the late game heroics of their quarterback (the good fortune of playing in one of only two divisions in the NFL that didn’t require double digit wins to earn an automatic trip to the postseason, and the fact that a guy named Kyle Williams plays for the 49ers didn’t hurt either). During regular season wins over the Cardinals, Bills, Dolphins, Patriots, and Cowboys, Eli combined with the Giants strong receiving corps to resuscitate a team that easily could have finished 7-9 or 6-10, and turned them into a 9-7 squad that waited until the last game of the regular season to secure a postseason berth. Now, don’t get me wrong, Eli got help from the guys around him in 2011, but more often than not, whether the Giants won or lost in 2011 came down to Eli’s play in the final minutes of the fourth quarter. When he succeeded, the Giants won (see the aforementioned regular season games plus the Giants playoff wins against San Francisco and New England). When he failed, the Giants lost (see games against Seattle and San Francisco in the regular season). It just so happened that last season, Eli succeeded much more than he failed in the fourth quarter, and the Giants won the Super Bowl largely because their quarterback displayed an uncanny ability to play his best when everything was on the line. When you have an elite quarterback, this is how things tend to go. When you have an elite quarterback, you hope he has the ball in the final minutes with a chance to win the game. Obviously, you’re going to need your quarterback to consistently play well to win games, but there’s a difference between needing your quarterback to play well, and needing your quarterback to lead game winning drives late in the fourth quarter week after week. In some ways, having an elite quarterback elicits the same mindset that occurs when people get married. While most single people make an effort to go to the gym and not walk around ensconced in velvet or sweat pants all day, things change when you get married. A level of comfort and security that stems from being married changes the way you operate and approach most things in life. The same thing can happen when you have an elite quarterback who gives your team a level of comfort and security that he’ll be able to make up for many other shortcomings your team may have. This isn’t to say that the Packers defense didn’t play well last year because they knew Rodgers would be throwing for 400 yards and 4 touchdowns every game, or that the Colts intentionally put so much of the burden on Peyton Manning’s shoulders during his tenure in Indianapolis, but it’s easy to see how such confidence in your signal caller could trickle down to the way your team operates. And if we’ve learned anything from Peyton Manning’s career, Tom Brady’s Super Bowl drought of the last seven years, and the quarterbacks we’ve recently seen re-write history only to come up empty in the postseason, it’s that no matter how good your quarterback is, he needs some margin for error. Because of how poorly the Packers defense played, Aaron Rodgers had virtually no margin for error in 2011. As everyone saw, when Rodgers had an average day against the Giants in the playoffs (264 yards and 2 TD’s), the Packers were sent home before they knew what hit them. Similarly, because of the way his teams were built in Indianapolis, Peyton Manning could rarely afford an “average” day under center, even when his average days under center were better than most. As amazing as Eli’s 2011 season was, the thing many people may be overlooking is that the Giants consistently found themselves in a position that required their quarterback to lead game-winning drives late in the fourth quarter. The fact that Eli was able to engineer a record-setting number of late game comebacks is certainly impressive, but at the same time, it’s somewhat alarming because it means he NEEDED to engineer a record setting number of late game comebacks. The same modus operandi of “Rely on Eli” reared its ugly head in the Giants Week 1 loss to the Cowboys, and for the first time in a long time, he couldn’t overcome a defense that allowed 433 total yards, and a running game that was decent, but not good enough. The Giants were struggling with a number of injuries in that game, and I’m doing my best not to be "that guy" who says the sky is falling after four quarters of football. At the same time, based on the way they played last year and during their first game of 2012, the Giants have clearly fallen into the trap of relying on their elite quarterback to constantly make up for other shortcomings, and at some point, this will catch up with them. If the Giants don’t have a successful 2012 season, it won’t be because of a Super Bowl hangover, food poisoning, the beds they're sleeping in, or any other manufactured excuse. 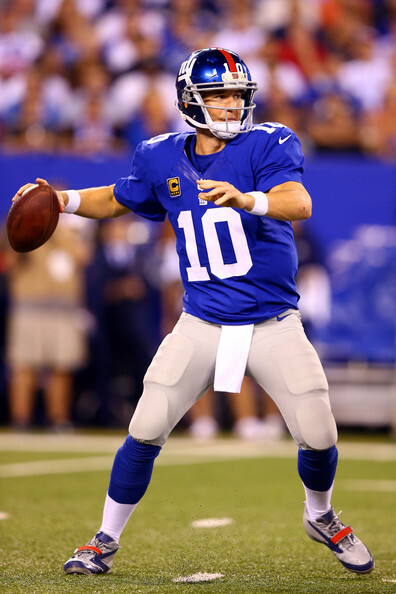 It will be because they’re relying too heavily on Eli Manning to consistently bring them from behind when the rest of the team has underachieved for long stretches of a given game (Eli has been guilty of underachieving at times as well). It worked out for the Giants last season and led them to another Super Bowl victory, but it’s not a sustainable way to win in the NFL.